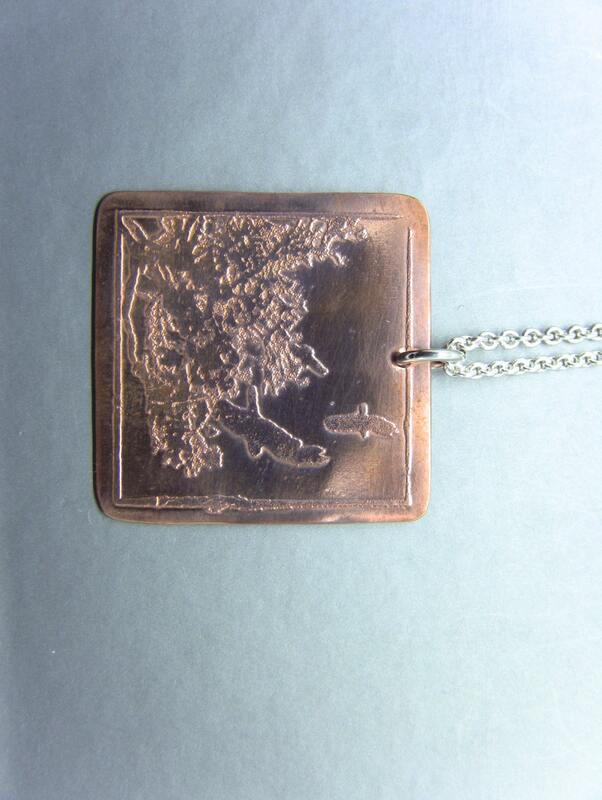 This simple, but fun necklace features a copper pendant with birds soaring over a tree. I hand-cut this piece and then etched it using a chemical etching process. The piece was then polished . The pendant hangs from a 18" sterling silver cable chain with spring ring clasp. The square pendant is approx 1-1/8" square. Because each piece is individually made, it will be a truly unique necklace. The copper on this pendant and necklace are currently shiny. The copper will develop a brown patina over time, simply polish with a polishing cloth or copper cleaner if you want them to stay shiny. If you would prefer a different style of chain or chain length, please convo me and I can get you pricing.